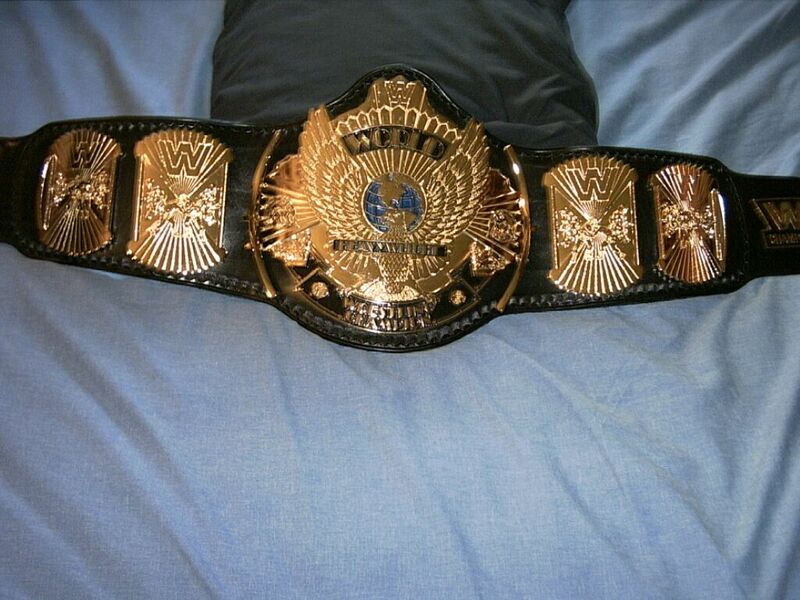 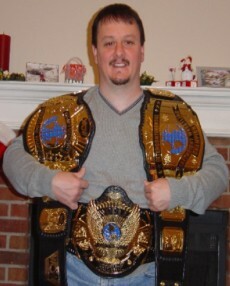 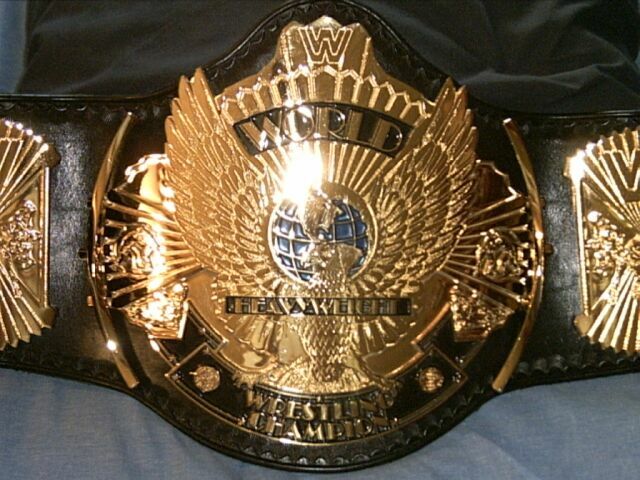 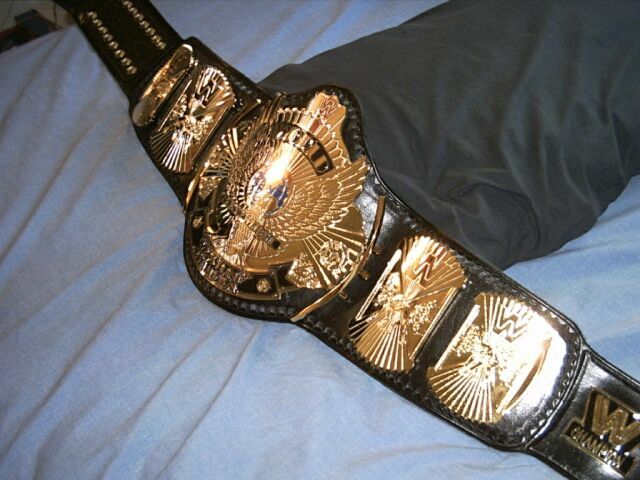 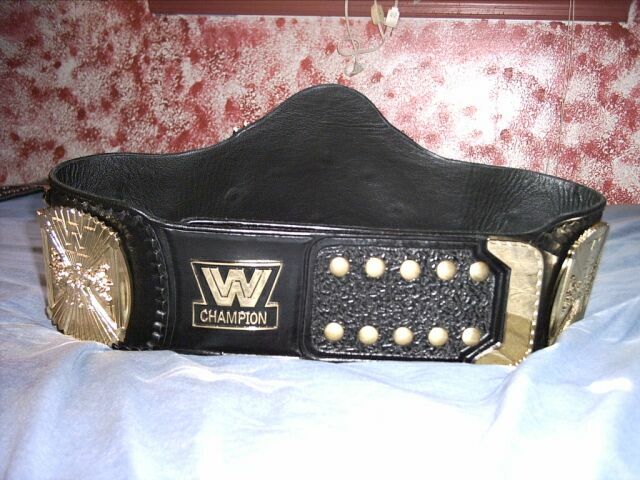 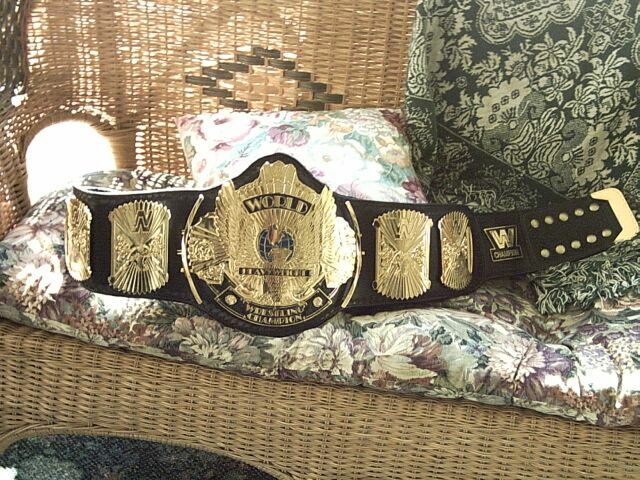 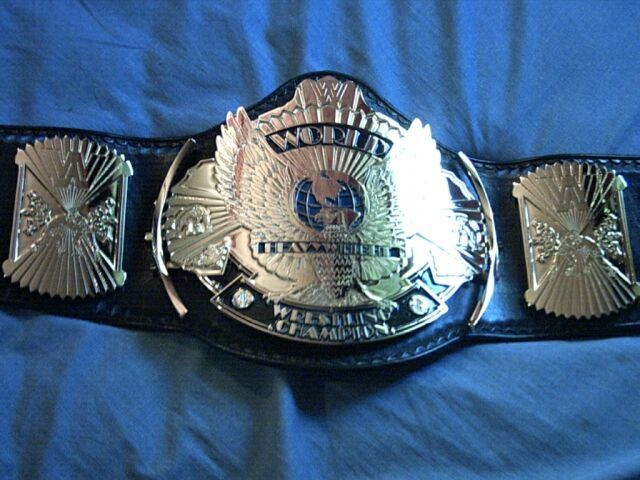 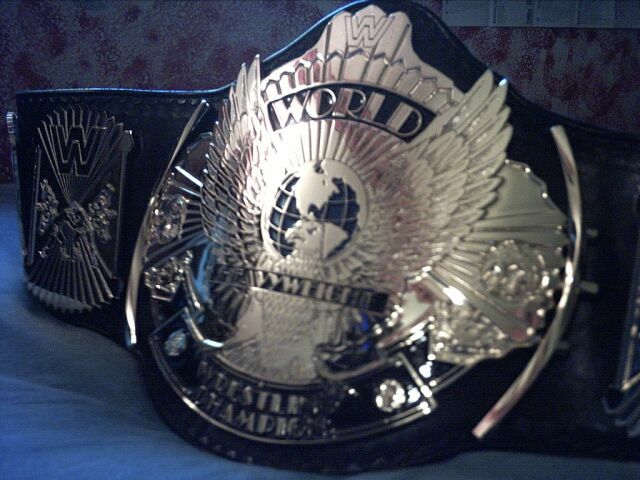 Here is the Chad's World Wrestling Federation Heavyweight Championship known as the Winged Eagle made by Dave Millican. 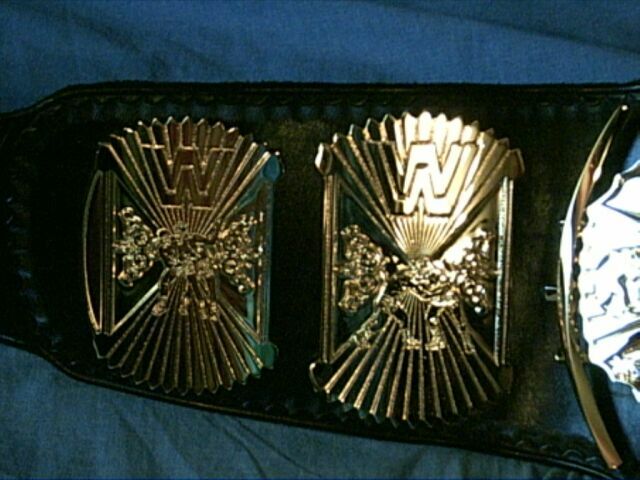 This belt is sporting the now copyrighted WW logo. 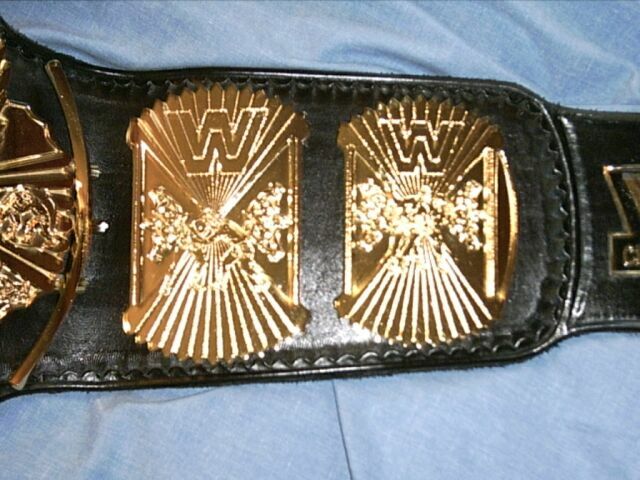 It's a 5 plater with curved bars, logo plate and tip.